MEDA’s project is specifically targeting Latino small businesses and entrepreneurs to help them succeed in today’s 21st century global economy. This project will provide tools that enable businesses to conduct faster, more-efficient outreach and improve customer access through websites, emails, and e-commerce. Bilingual training will include basic digital literacy and business curricula specific to micro-entrepreneurs, including programs for budgeting, e-commerce and online marketing. 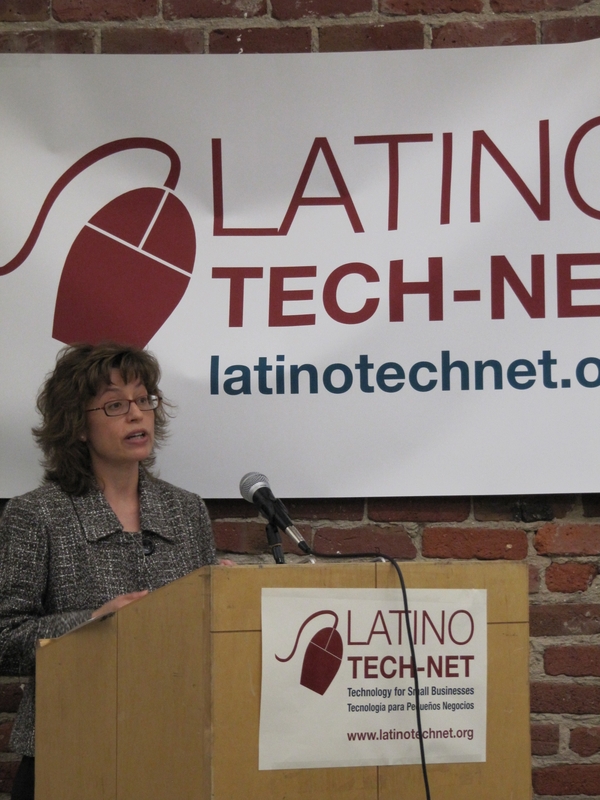 This and other Recovery Act broadband projects will help not only the Latino community but also the U.S. as a whole. The more we can grow technology skills among our people, the more competitive our Nation will be in the 21st century global economy. 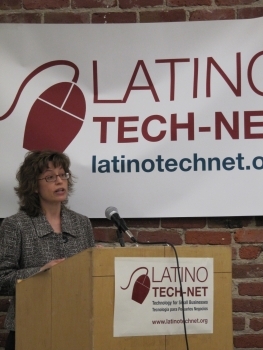 Congratulations to MEDA and the Latino Tech-Net partners on a successful launch! Submitted on May 20, 2011 - 10:11pm. We received a telephone call this morning on the west coast from someone claiming to be from the US Commerce Department. The gentleman introduced himself as Dan Goldberg and he claimed to be ranked as a GS13 and he left a call back number of (202) 509-0685. The message indicated there had been an award of a substantial sum that; due to failed attempts at delivery, had been forwarded to Commerce for investigations. This, "Mr. Goldberg", proceeded to inform me that because of regulations involving Homeland Security, the DOJ, and somehow, the Patriot Act, that a specific procedure would need to be followed. He stated the amount to be $450,000.00 and the certified check was at the Commerce Dept along with an entire packet and waiting to be released upon a full verification. Inquiring as to how to locate this specific procedure, was told to contact a Mr. Phillip Wright at the underwriters office who happened to be Prudential. Given the telephone numbers of (866) 978 - 7569 toll free or (609) 503 - 7861, which is where I made contact. Mr. Wright informed me that in order for Commerce to release our funds, A refundable amount of $4,500.00 would be necessary in advance of release of payment. Oddly enough, the Four Hundred and fifty-thousand dollar cashiers check was also to accompany a reimbursement check for Four thousand -five hundred dollars. Shouldn't someone be checking into these guys? Submitted on June 9, 2011 - 10:14am. Thank you for bringing this to our attention. We take this sort of impersonation very seriously. Please contact the Inspector General's office so they can get all the details and investigate. Submitted on July 12, 2011 - 3:08pm. Same story to me different names. Submitted on July 14, 2011 - 5:14am. A message was left on my voice mail on 7-13-2011 at 2:25 P.M. from Officer Sean Perry, Department of Commerce. The message was a bit muddled, but I think he said something about a pending award. He left a phone number to contact him: (202) 407-7202 ext 110. I did a reverse phone number lookup and the area code was DC. I logged onto the Department of Commerce Website, contacted the main number and asked to speak to Officer Perry and was put through to a number that rang forever and finally hung up. I did a search from the website for Officer Sean Perry where I found a blog that seems to indicate this is a scam. I contacted AT&T and informed them of the scam. Now I intend on contacting the Inspector General.